As an independent consultant and speaker, I am not able to attend events and to give presentations there as often as I would like to. It’s an important way for me to be able to learn from other speakers, to network with other professionals, and to meet potential clients. It is hard enough to be an independent consultant, it is much harder for me to be an attendee with hearing loss. I’m often being excluded and feeling frustrated due to communication access barriers that event organizers could easily remove by providing quality communication access services such as live captioning or sign language interpreters or both. Some event organizers are more than happy enough to provide those services but most do not. There are over 50 million deaf and hard-of-hearing people in USA and around 700 million worldwide which is about 20% of total population. Many of them are frustrated with social stigma and lack of accessibility in education, employment, entertainment, and at live events. 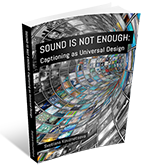 They often face resistance barriers that society could easily remove by providing full and equal access to aural information via quality captioning, sign language, and other alternative types of communication. Not all people are same in terms of hearing and communication abilities, so there’s no one size fit all for everyone or for all situations. There are different solutions depending not only on types of people attending them, but also on types of events. The major frustration I’m having every time with new event organizers is that they try to make an excuse not to have a budget for communication access services at events, even if events are free. I’ve attended numerous events (both free and paid) hosted by volunteers who can make them accessible with help of sponsors. Many events usually have sponsors to cover the cost for food, drinks, rental area, and so on. So why not sponsor accessibility? Event organizers can easily ask any company for sponsorship to cover communication access services expenses. It not only makes attendees with hearing loss happy, but also makes both event organizers and sponsors look good. Organizers are also responsible to make their events accessible according to the Americans with Disabilities Act (ADA) and various disability laws in their respective countries. Another issue is quality of communication access services. You cannot just pick an unqualified person to interpret/caption in order to save money. High-quality services are not cheap. Some of you may have heard about the fake interpreter in South Africa at Nelson Mandela’s funeral. Sadly, it’s not the first or only incident. There are many bad interpreters/captioners who are not qualified. It is shameful when some event organizers try to cut corners by looking for cheap interpreters/captioners. It would only cause more communication breakdown and more embarrassing frustration for deaf and hard-of-hearing attendees. 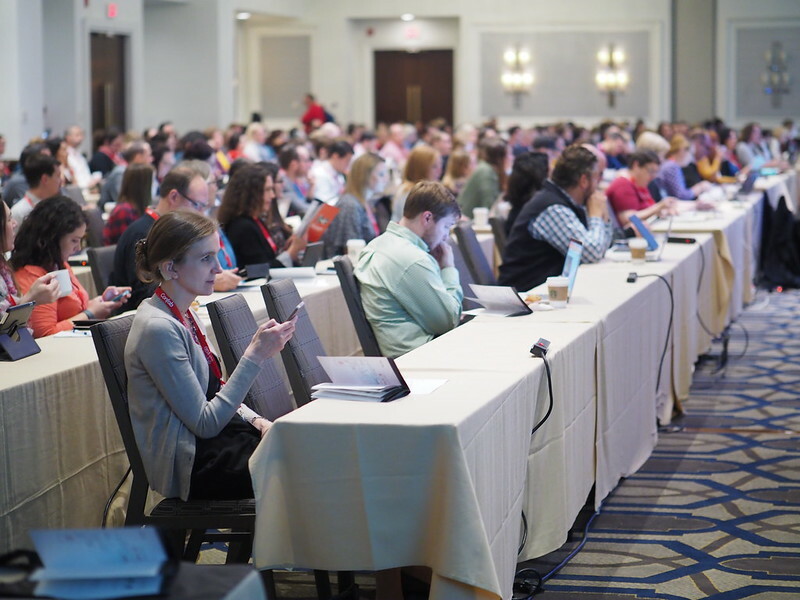 Most organizers have difficulties knowing which captioning or interpreting service providers to choose or how to figure out event accessibility logistics. Not all deaf and hard of hearing people know what types of services they need or what types of vendors are good. Due to the professional code of ethics for interpreters and captioners (that event organizers also need to get familiarized with and to add to their event code of conduct), communication access providers are refrained from offering counsel, advice, or personal opinions and cannot step out of their roles as providers. They keep all assignment-related information confidential. Also, out of moral obligations ethical interpreters and captioners leave more space for deaf people to be heard. There are many factors to consider for overall event accessibility strategy. I provide customized consulting and training to event organizers to ensure good quality communication access and to coordinate accessibility logistics at their events. I have consulted with event organizers for 10+ years and have worked with various communication access providers around the world for 20+ years and I am able to recommend and provide good quality providers. Also types of access needs vary based on the type of event and types of people attending it. Event accessibility is more complicated and goes beyond just providing captioning and interpreting services. So I strongly recommend you to plan accessibility services before you start your event planning process to be able to properly budget your accessibility expenses. If you are hosting an event and want to learn how to make them accessible, contact us for consulting and training. Looking forward to attending and presenting at your accessible events! This entry was posted in Blog on January 4, 2017 by Sveta.